When is Maniac out on Netflix, who’s in the cast with Emma Stone and what’s the series by new James Bond director Cary Fukunaga about? MANIAC is a series that explores the dark and mysterious world of dealing with mental illness in the US. 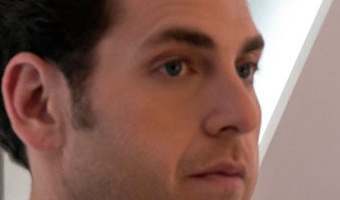 Here's everything you need to know about the Netflix show that reunited Superbad actors Jonah Hill and Emma Stone... When was Maniac released on Netflix? Maniac was released on Netflix on September 21, 2018. The series was written by The Bridge (US) writer Patrick Somerville and directed by Cary Fukunaga who was revealed as the new James Bond directer a day before Maniac was released. The dark comedy contains 10 episodes and each episode can be downloaded using the Netflix app. It's based on the 2014 Norwegian series of the same name. Who's in the cast of Maniac with Emma Stone? Emma Stone and Jonah Hill play the lead characters of Annie Landsberg and Owen Milgrim. Stone is best known for her roles in films such as La La Land and Easy A while Jonah is famed for his comedy roles in movies like Superbad and Get Him To The Greek. Other members of the cast include... … [Read more...] about When is Maniac out on Netflix, who’s in the cast with Emma Stone and what’s the series by new James Bond director Cary Fukunaga about? How to watch Maniac online on Netflix, who’s in the cast with Emma Stone and can you download it? MANIAC is a series that explores the dark and mysterious world of dealing with mental illness in the US. Here's everything you need to know about the Netflix show starring Emma Stone... When is Maniac out on Netflix? Maniac is out on Netflix on September 21, 2018. The series is written by The Bridge (US) writer Patrick Somerville and directed by Cary Fukunaga who worked on Jane Eyre (2011). The dark comedy will air over 10 episodes. Each episode can be downloaded using the Netflix app. It's based on the 2014 Norwegian series of the same name. Who's in the cast of Maniac with Emma Stone? Emma Stone and Jonah Hill play the lead characters of Annie Landsberg and Owen Milgrim. Stone is best known for her roles in films such as La La Land and Easy A while Jonah is famed for his comedy roles in movies like Superbad and Get Him To The Greek. Other members of the cast include... Justin Theroux (Louis Theroux's Cousin!) as Dr. James K. Mantleray Julia Garner as Ellie Sally … [Read more...] about How to watch Maniac online on Netflix, who’s in the cast with Emma Stone and can you download it? When is Maniac out on Netflix, who’s in the cast with Emma Stone and what’s the series about? MANIAC is a series that explores the dark and mysterious world of dealing with mental illness in the US. Here's everything you need to know about the Netflix show starring Emma Stone... When is Maniac out on Netflix? Maniac is out on Netflix on September 21, 2018. The series is written by The Bridge (US) writer Patrick Somerville and directed by Cary Fukunaga who worked on Jane Eye (2011). The dark comedy will air over 10 episodes. It's based on the 2014 Norwegian series of the same name. Who's in the cast of Maniac with Emma Stone? Emma Stone and Jonah Hill play the lead characters of Annie Landsberg and Owen Milgrim. Emma is best known for her roles in films such as La La Land and Easy A while Jonah is famed for his comedy roles in movies like Superbad and Get Him To The Greek. Other members of the cast are... Justin Theroux (Louis Theroux's Cousin!) as Dr. James K. Mantleray Julia Garner as Ellie Sally Field as Dr. Greta Mantleray Jemima Kirke Geoffrey Cantor … [Read more...] about When is Maniac out on Netflix, who’s in the cast with Emma Stone and what’s the series about?